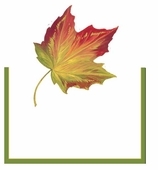 It�s not just who�s coming to Thanksgiving, but where are they sitting? Doctor, lawyer, pilgrims. 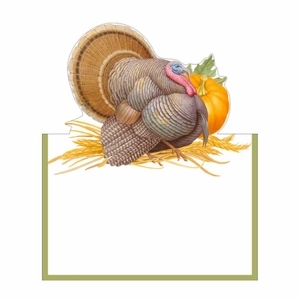 Everyone likes to be placed strategically with their own special Thanksgiving place cards or name cards. 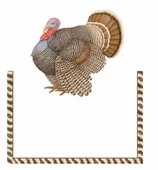 Even if it�s �just family,� you want your Thanksgiving table decor to be special for every Thanksgiving dinner. 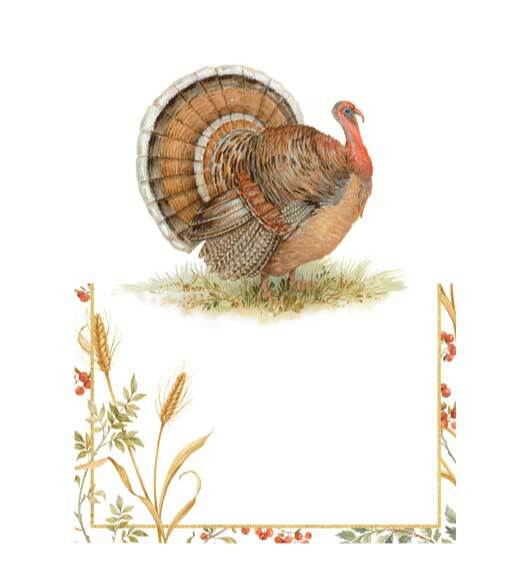 Our Thanksgiving place cards let you entertain elegantly at Thanksgiving. When it comes to Thanksgiving table decor, you've got all your favorite china, silverware and cloth napkins and other table linens out. 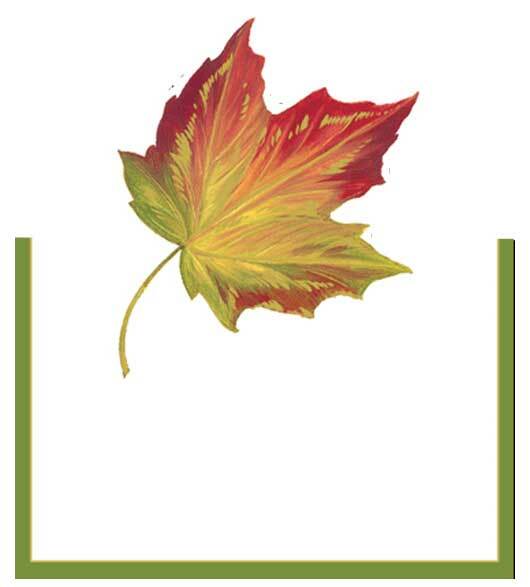 Putting Thanksgiving place cards at every seat adds a finishing touch -even if the guests rearrange them. 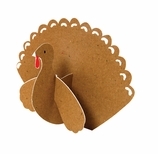 Thanksgiving place cards with cut outs come in a set of 8. 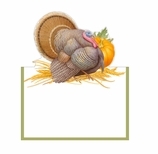 Thanksgiving placecards without cutouts come in a set of 10. 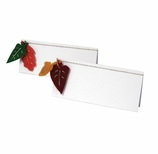 Our Thanksgiving place cards are tented, so you don't really need Thanksgiving place card holders but just in case you want them, we offer them. Also available: Thanksgiving paper plates, Thanksgiving napkins, Thanksgiving hand towels. And see our unique place cards . 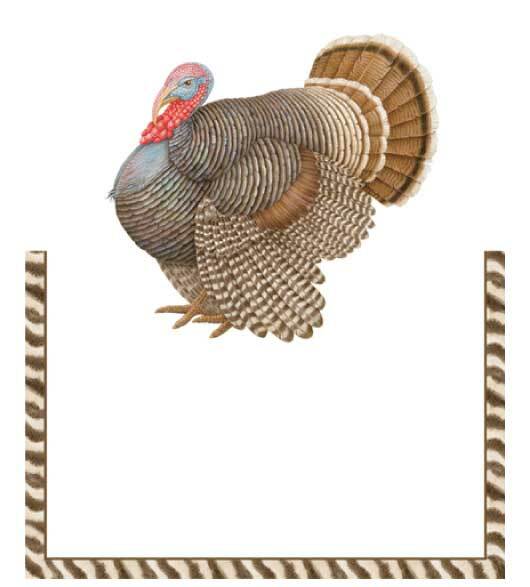 3D turkey place cards, set of 10, 4" x 3". By Meri Meri. 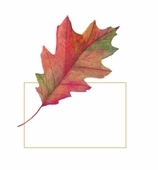 Leaves place cards, set of 10, 4" x 4". 2 designs (5 of each) with felt leaves. By Meri Meri. Thanksgiving table decor is not complete without Thanksgiving place cards. You wouldn't have Thanksgiving witout the turkey, without the dressing or the gravy. 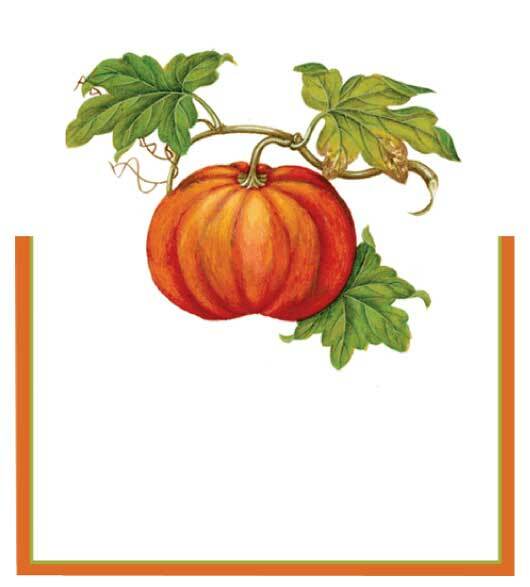 Don't even think about Thanksgiving table decor without Thanksgiving place cards. 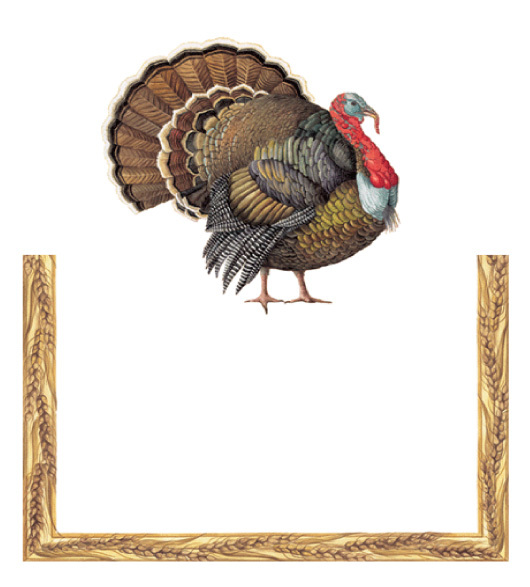 If you don�t have the time or inclination to buy Thanksgiving place cards, they are fun to make. 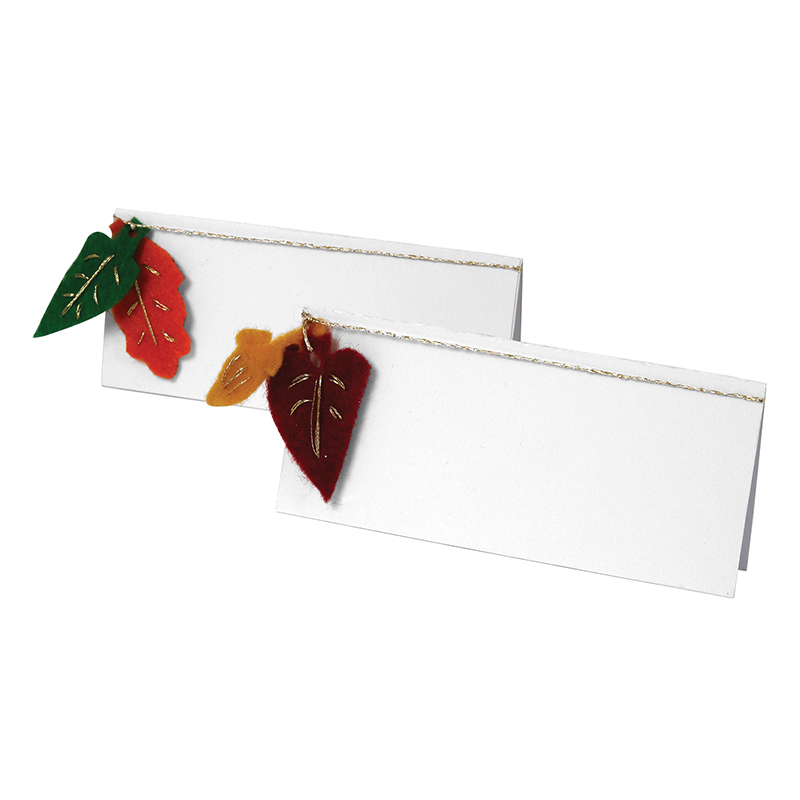 Use colorful leaves or construction paper. 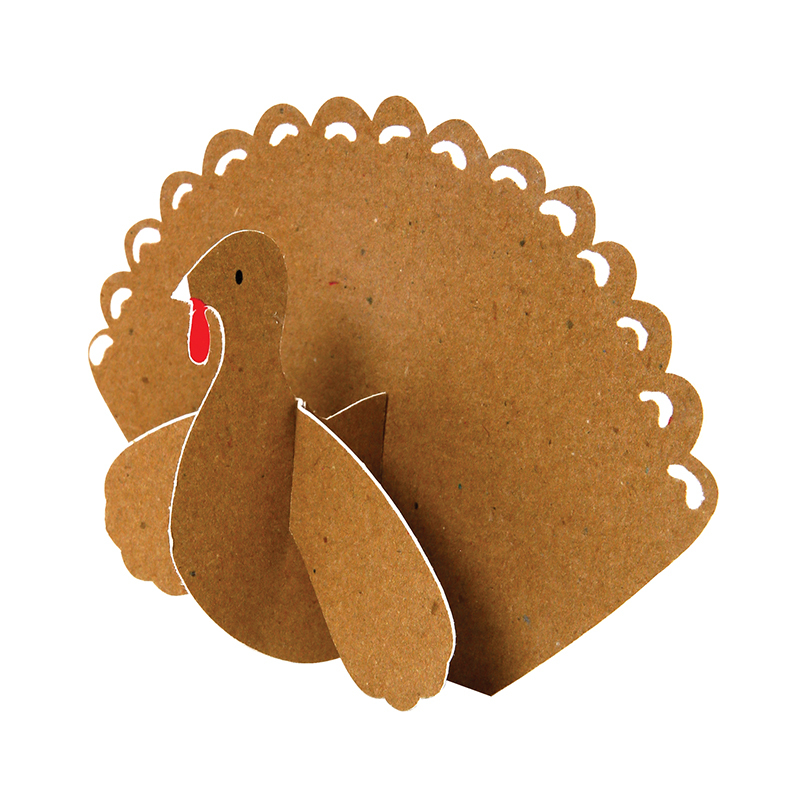 Whether you buy them or make them, save your Thanksgiving place cards for next year. Chances are the guest list won�t change too much. That�s one of the best things about Thanksgiving dinner anyway; it�s an annual ritual. Thanksgiving table decorations are often turkey decorations. 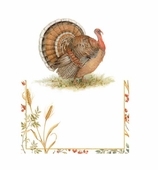 We have lots of turkey Thanksgiving place cards. 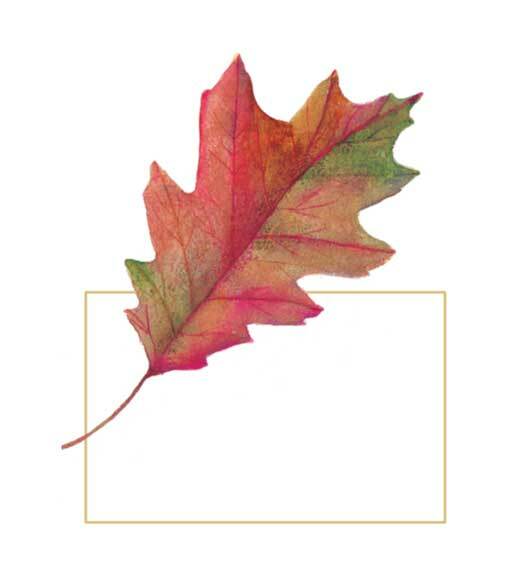 But leaves and other fall decorations are nice too!I've noticed many guests take home their Thanksgiving place cards whether they are turkeys, pumpkins, leaves or whatever. Sometimes unique place cards are like little personalized party favors. Thanksgiving place cards take away the awkward moment when everyone sits down to Thanksgiving dinner, A place card helps insure that all the people who are seated are seated next to people they enjoy. This is important since it's a long meal. It takes a little extra thought to arrange Thanksgiving place cards but it's probably well worth the effort. In many cases, the hostess usually wants to sit near the kitchen, the kids want to sit with the kids and the adults want to sit with the adults. But every family has it's quirks and you know best. That is where Thanksgiving place cards come in. I will never forget the year my very strong, but very young little brother had a substantial tantrum and ripped the table cloth off the Thanksgiving dinner table right before dinner. So much for Thanksgiving place cards and other Thanksgiving table decorations. It�s a family legend and we laugh about it still. Today the same brother leads a beautiful Thanksgiving dinner with readings from the Pilgrims and all sorts of lovely touches like Thanksgiving place cards. 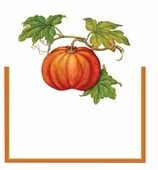 At the famous family dinner years ago, it really would not have mattered where the name Thanksgiving place cards were. We were just happy to all have a place.